The most particular of Walcheren, is that just has an area of ? 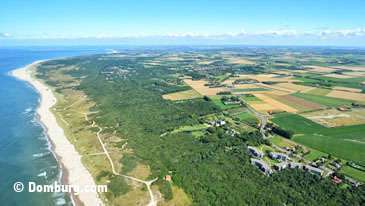 ?only a few square kilometres of beautiful beaches, dunes, winding dikes and the characteristic Mantelinge on the north side of, so it is perfect for hiking and short cycling rides. The Mantelinge is a forest that connects a number of great outdoors together. Striking are the trees that were topped by the Germans in World War II because of the wood, and have gotten strange, bizarre shapes because of the trimming. Thanks to the high location of The Mantelinge and the outposts in this area, the salt water in the inundation of Walcheren had no effect on the vegetation and there are also deciduous forests. The name ‘The Mantelinge’ indicates what has traditionally been the function of this forest: it protects the north of Walcheren as an overcoat (mantel in Dutch) against a fierce sea wind. Wealthy merchants liked to build their country houses in this sheltered part of Zealand in the 17th and 18th century. And although not all the houses and castles are freely accessible to the public, at least one of them, alongside Westhove, is still wonderful to see, if only because the gardens are freely accessible. Moreover, the State Forest Service has given back ponds, winding paths and vistas to the landscape, which were built from the 19th century according to the ideas of the English landscape style. The Mantelinge is again a bit the area like it was intended three centuries ago. On Walcheren, between the towns of Domburg and Oostkapelle, are the outposts Westhove, Duinbeek and Berkenbosch. Westhove can even be called a castle. There seems already to have been an earthen defensive embankment in 836, aimed at keeping Northmen (Vikings) outside. Several findings suggest that where Westhove Castle is now, there stood a wooden fortification in the 12th century, which has given way to a living / defence tower in stone. This functioned until 1572 as a hunting lodge for the powerful abbots of Middelburg and Floris V and Charles V, among others, stayed here. In 1572, Westhove was captured by the Spanish forces and then recaptured by the Sea Beggars and largely destroyed. Later, wealthy merchants from the Golden Age found that the castle fit their status. A hostel now resides in Westhove Castle. Anyone who is curious about the interior may look inside. There is also a café and a terrace. The Sea Museum for nature and landscape Terra Maris is located in the Orangery next to the castle. Various hiking trails start here. The Normans and Beggars have, without realizing it, determined a big part of the cultural history of Zeeland. The Normans because they were always the reason for the construction of defensive fortifications, the Beggars because they destroyed it centuries later in the Eighty Years War against the Spaniards. This also applies to the Outdoor Estate Duinbeek. Once built as a fortress against the Vikings, it became a dwelling in 1350. A letter of lien from 1350 shows that in that year, Wolfert van Borselen, lord of Veere, was the owner, but ‘dedicated’ it to the Count of Holland and Zeeland, and then got it back in loan. King Philip II of Spain also owned Duinbeek; he bought it in 1567. The payment had yet to be credited though. In 1572, Duinbeek was destroyed by the Beggars. 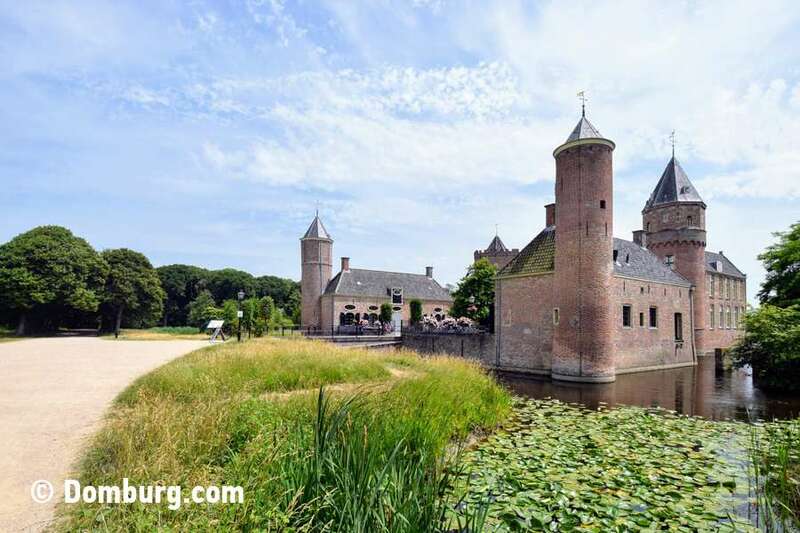 The current Duinbeek dates from 1715, a beautiful mansion with a characteristic octagonal belvedere tower, surrounded by a park-like garden, which is definitely worthwhile. In 1908, Mondrian made the painting ‘Evening, Red Tree’. Whoever visits the Manteling will undoubtedly recognize the whimsical form of Mondrian’s tree in the trees. 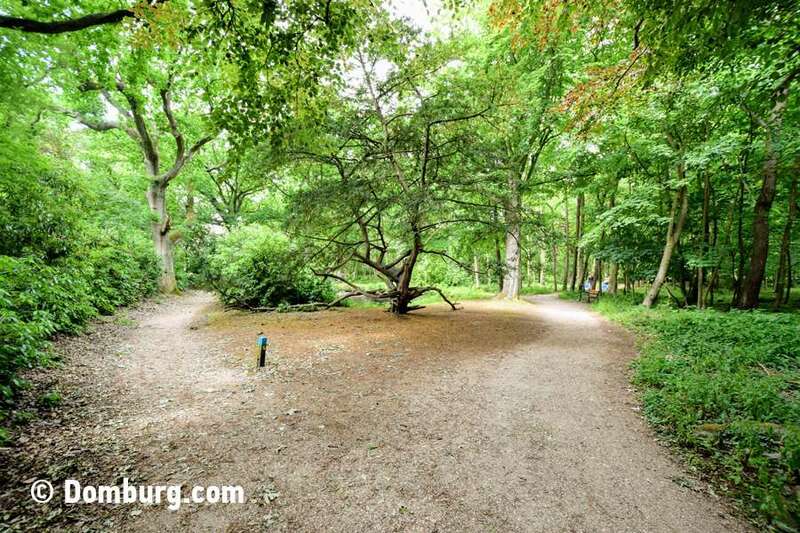 Thanks to its small-scaliness, the Mantelinge is an attractive area for biking and walking. In a relatively short time, you will experience the Zealand coast atmosphere, the park-like forests of the country estates and three of the most beautiful country estates with their gardens. 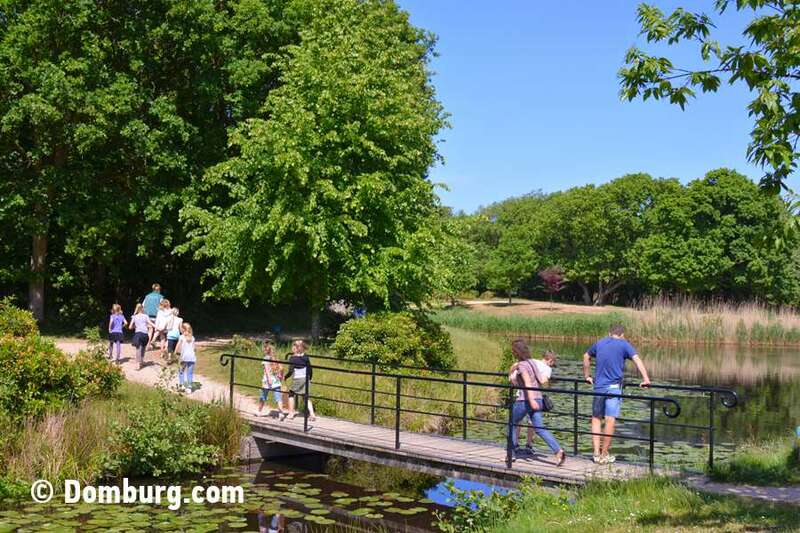 If you go from Domburg to the coast, you cycle into the Manteling and you can do ‘excursions’ to make Westhove en Duinbeek. If you continue towards Oostkapelle, you can visit Berkenbosch. 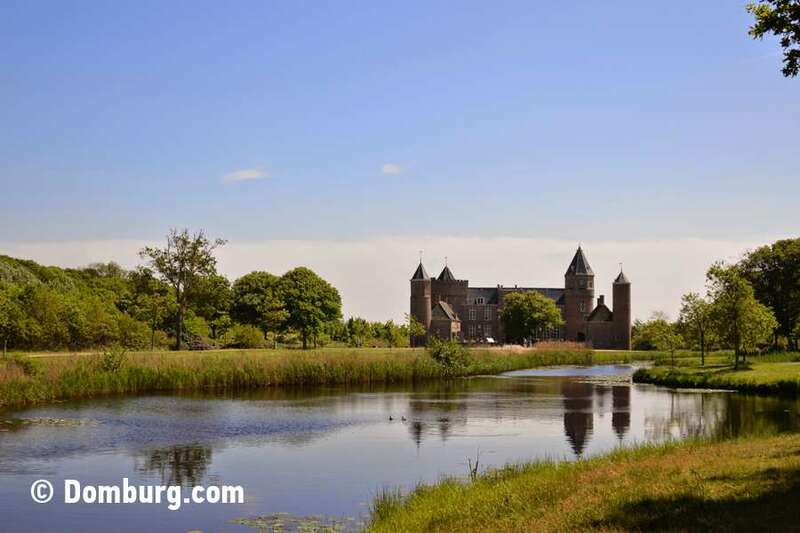 Through the village of Aagtekerke, you can return to Domburg.